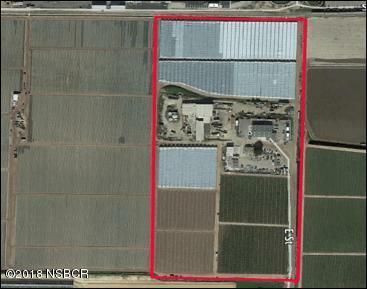 The subject property has a mix of new and older buildings all suitable for industry and agricultural applications. This asset is located in the Area 9 planning area and has 4 major valuation components: Open ground presently leased, a free standing Industrial building with paved secure yard, a former cooler/warehouse and a Ranch Office/Residence with large shed. Split zoning between M1 and HCM AG zoning. Existing income of approximately $136,000. Total acreage +/- 29 acres. Listing provided courtesy of Stephen Mccarty of Stafford-Mccarty Commercial Re.